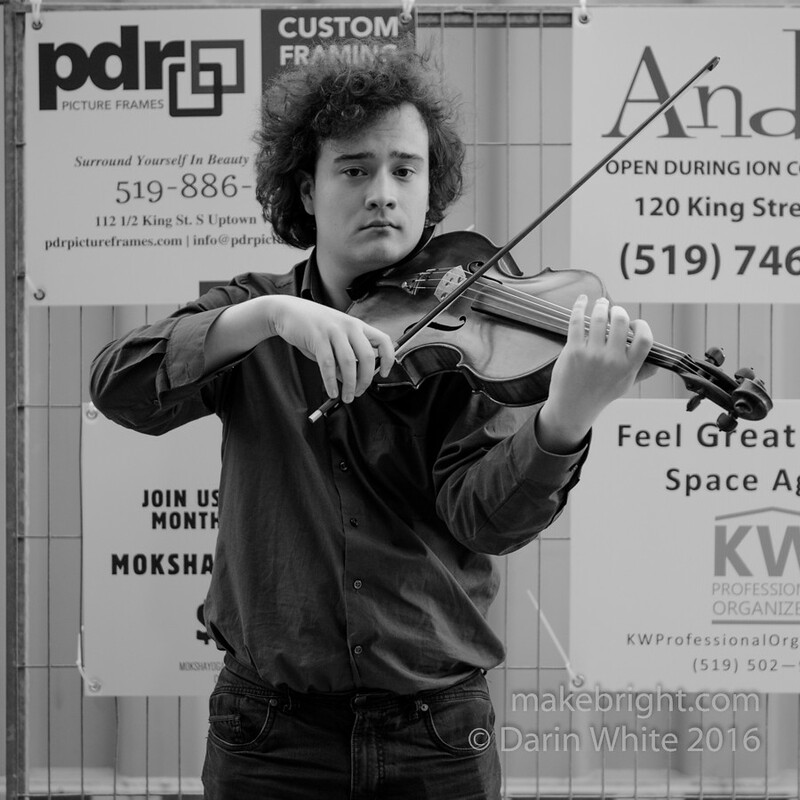 Last week I found Erik playing the most beautiful music amid the most baffling uptown visual esthetic. Outside the liquor store. Within this photo lies our challenges and opportunities. At King and William, this is Waterloo. This entry was posted in music and tagged 1shot, King Street, music, waterloo. Bookmark the permalink.